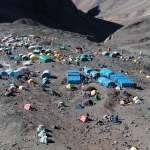 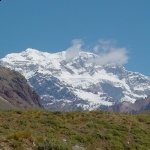 Besides knowing Plaza Francia and the imposing view of the south wall, and Plaza de Mulas, main base camp of Aconcagua, we propose to summit in Mt. 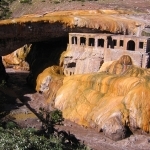 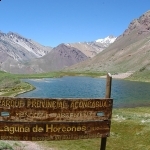 Bonete (5000 m) and enjoy an exclusive and incredible view of the west face of Aconcagua and its surroundings. 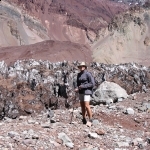 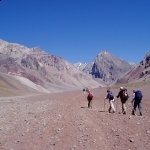 This seven days trekking lets us observe the two most spectacular faces of Aconcagua. 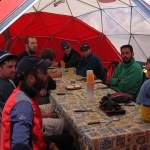 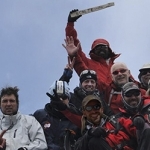 We will first walk to Plaza Francia, South Wall base camp. 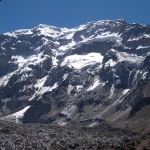 There, after walking through glaciers surrounded by amazing mounts, we´ll enjoy its impressive 3000 mts of altitude .After that we´ll walk a long way up to Plaza de Mulas Base camp, which after such an effort, will reward us with an incredible view of Aconcagua´s West Wall at sunset and it´ll give us the chance to spend some time with mountaineers from all over the world that get ready to reach the summit.And then, we reach the summit of Mt. 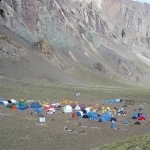 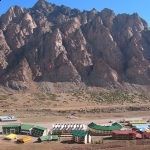 Bonete (5000 mts) From this mountain we´ll see the awesome Aconcagua west face, as well the huge Plaza de Mulas’ Base Camp. 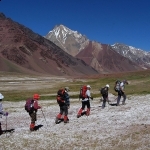 From the Bonete´s summit the surrounding landscape it’s amazing, you could admire the vast expanse of the Andes. 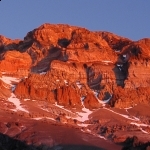 The sensation at that moment, we cannot tell. 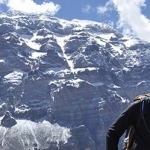 We want you to have the experience yourself. 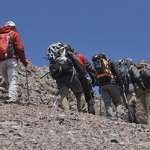 Start walking with us!